Over the years companies, governments, and those in-between have created some major public relations gaffs (sic) by not addressing bad situations in time, hoping the publicity would die soon….Imperial Metals Mount Polley Mining Corporation (sic) has, in my opinion and many others, acted very responsible in keeping the public informed. …Of course many meetings attempting to get the mine underway have been held and will carry on until the mine is back is in some capacity of production. 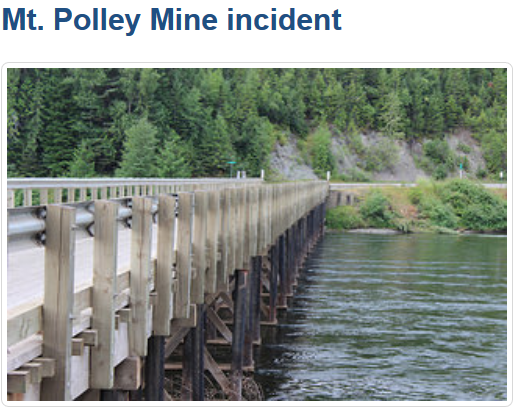 I suggest the public relations by Imperial Metals and Mount Polley since the tailings pond break has been very good. It is a tough job and I congratulate Steve Robertson for all he has done to communicate with the workers, surrounding communities, and he should get some kind of PR medal for all he has done. 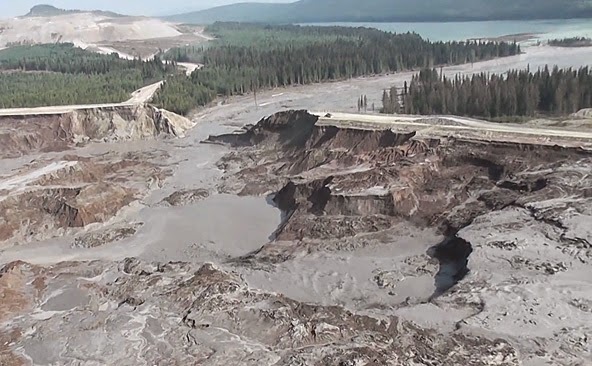 …That was a long lead up to tell you about the Mount Polley Mining Corporation Community Open House at the Gibraltar Room in Williams Lake on Wednesday, April 22 from 6:30 to 8:30 p.m. The Williams Lake Chamber is helping promote this event that everyone who is interested in the Mount Polley situation and wants updates should attend. Black Press might be demonstrating 21st century newspaper journalism. Apparently, it involves unedited copy from hacks pandering to potential advertisers with deep pockets. The objective, of course, is lower costs and higher profits and the formula works for Black Press. Torstar, owner of 19.4% of the private company, booked $5.5 million as its share of Black profits in fiscal year 2013. In 2014 Torstar’s share declined to $4 million and to $3 million in 2015. So, while other media companies struggled, Black Press net earnings over three years were over $64 million. The Mount Polley item raises a separate but important issue. The meeting promoted here by the Williams Lake Chamber of Commerce, of which writer Ken Wilson is a director, is part of a process managed by a Regional Mine Development Review Committee. RMDRCs, formed and managed by the Ministry of Energy and Mines, are BC Liberal initiatives to shortcut review processes and expedite mining operations. The BC Government committed in 2012 to maintain a 60-day turnaround time for Notice of Work permit applications, which include work details and measures for protection and reclamation of land, watercourses and cultural resources affected by proposed activities. At Mount Polley, we saw the effect of inadequate oversight of self-regulated industrial activity. Instead of learning from the disaster, Liberals pretend it was a minor event, caused by no one and now adequately healed. The picture here is taken from a government web page titled “Mt. Polley Mine incident” where readers were invited to view a portfolio of government pictures on Flickr. These include photos of politicians, a fawn, an owl and other pastoral scenes. participation of the public, First Nations and various other agencies. The importance of the purpose provision was highlighted in a judicial review of a provincial government decision approving the reopening of the Tulsequah Chief Mine in 1998. In that decision, the BC Supreme Court held that the EA review did not adequately consider the sustainability of the Tlingit First Nation’s land-based way of life, and therefore ran contrary to the promotion of sustainability required by the purpose of the EA law.245 Issue Without an explicit purpose clause or principles to guide the exercise of discretion, BC’s EA Act provides inadequate guidance to government decision-makers reviewing EAs. A photo that won’t be found on BC mining ministry website. When you use the word “journalism” and refer to the Black Press, you use the word loosely. So while the largest news media properties are contracting and suffering continuing losses, Black Press motors along profitably, spending little on actual news gathering. From what we've seen, little attention is paid to accuracy or writing quality. Well bless my soul. Here I spent all winter needlessly worrying about the Mt. Polley cleanup when apparently it was well in hand! Just because Imperial Metal's message didn't reach me didn't mean they weren't cleaning up the mess caused by someone else. I still wonder though, if they managed an '80% cleanup' as accomplished by the 'World Class Cleanup Crew' in English Bay. This is so true. Where I live we get a continual diet of Tom Fletcher, “legislative reporter”. When he switches from “reporter” to “columnist” it becomes akin to watching Sean Hannity. Never do it while eating. In Kamloops the Back news piffle is delivered free whether you want it or not, sort of a force feeding thing. By the way, whatever happened to that oil refinery that Black was blabbing about to anyone that would listen just before the last election. I suspect it was one of these job bs things that the Lieberals were spinning to the low information mouth breathers that ran like sheep into the fold. In some countries the CEO of Mount Polley Mine and a bunch of his executive would be rotting away in jail until the thing was cleaned up. Not in the banana republic of BC where they are treated like heroes. This despot government has no shame or morals.